As the clash over climate and energy policy in Australia reaches fever pitch – with the new ultra-conservative Prime Minister, Scott Morrison, appointing a fierce anti-renewable campaigner, Angus Taylor, as new energy minister – researcher Mark Diesendorf zooms in one point of contention: do coal power stations provide the reliability that its supporters claim they do? Article courtesy of Reneweconomy.com. As renewable electricity continues to grow rapidly, the proponents of coal power in federal government and the media are claiming that our electricity system needs ‘dispatchable, baseload’ power stations. The federal government plans to obtain them either by forcibly extending the lifetimes of clapped-out old coal stations such as Liddell, or by building a new, taxpayer subsidised, coal station. This, the proponents claim, is necessary for maintaining the reliability of the generating system. They support this claim by mis-interpreting the following ACCC recommendation [ACCC is the Australian Competition and Consumer Commission]: “The Australian Government should…enter into low fixed price…energy offtake agreements…for appropriate generation projects that meet certain criteria”. One of the criteria is “to be capable of providing a firm [i.e. dispatchable] product”. Furthermore, the coal proponents often confuse the concepts of ‘dispatchable’ and ‘baseload’, when in reality these are well-established technical terms with different meanings. This article acknowledges that we need genuinely dispatchable power stations to complement the growing capacity of variable renewable energy power stations (wind and solar PV) and argues that these can be provided by renewable energy technologies. It shows that coal and other baseload power stations cannot fill that role. A baseload power station is one that can operate continuously at its rated power (aka generating capacity), except when it breaks down or undergoes planned maintenance. In Australia, most baseload power stations burn coal to heat water in a boiler. South Australia has a single gas-fired baseload power station, Torrens Island, that’s heading for retirement. Tasmania’s huge hydro storage plays two roles, both baseload and ‘peakload’ (see below). Baseload power stations are inflexible in operation. They can take from several hours to a whole day to go from cold to full power. Even when hot, they cannot easily and economically vary their outputs rapidly to meet the peaks in demand. That’s why the traditional generation mix also has flexible, fast-response, peakload power stations, comprising hydro, open-cycle gas turbines (OCGTs, essentially jet engines), and, in some cases, reciprocating engines (e.g. diesel generators) to handle sudden changes in demand and supply. Incidentally, OCGTs and diesel generators can burn renewable liquid and gaseous fuels –biofuels and renewable hydrogen and ammonia. In future, hydrogen and ammonia could become commercially available via renewable power to gas. These renewable fuels could then be used as electricity storage or aircraft fuel or injected into the gas grid. A dispatchable power station is one that can supply power on demand. To do this, it must be controllable to the extent that it can respond promptly and flexibly to sudden changes in supply and demand, both unexpected and predictable. Dispatchable power stations play a major role in balancing supply and demand. This balance is essential for maintaining the fixed frequency of alternating current and for avoiding blackouts. All dispatchable power stations incorporate some form of storage, whether it be electrical, thermal, mechanical or chemical (i.e. a stored fuel). Peakload power stations are, at least in theory, dispatchable, but in practice that isn’t always the case. For instance, during the state-wide South Australian blackout in September 2016, some of the supposedly dispatchable fossil-fuelled peakload generators, that were needed to restart the system, failed. Furthermore, hydro systems, even with very large storages, can be constrained occasionally by drought. Clearly, there is no perfectly dispatchable power station, just as there is no totally reliable electricity generating system. Therefore, let’s consider different degrees or ranks of dispatchability, based on the major requirements of speed of response and flexibility in operation, and the minor optional requirement of long-term operation. 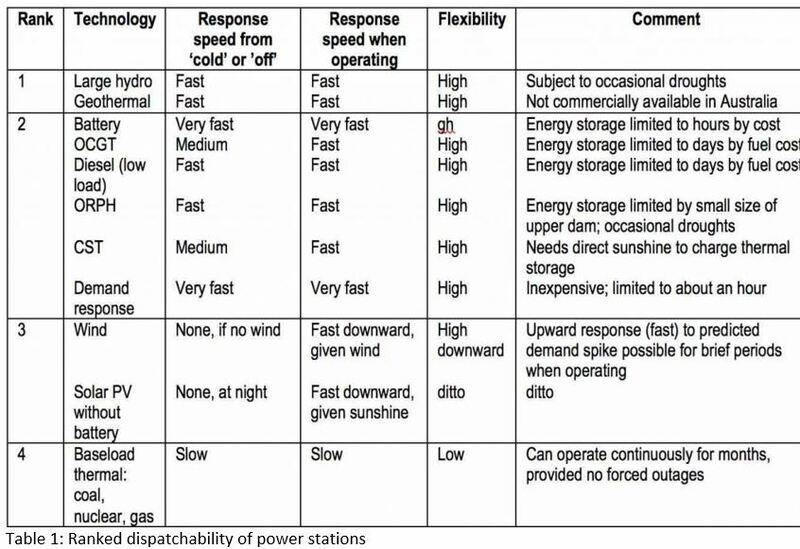 Table 1 shows the four proposed ranks of dispatchable power stations. ‘Very fast’ response takes place in a fraction of a second; ‘fast’ in several seconds; ‘medium’ in several minutes; and ‘slow’ in several hours to a day. Additional top-rank (i.e. Rank 1) technologies are not currently feasible for Australia. Additional large dams are ruled out on environmental grounds and hot-rock geothermal is not commercially available. Rank 2, with a small contribution from Rank 3, are the realistic options. A mix of several types of responder with different response times works best and indeed this is the pathway being followed by South Australia. Demand response is a fast and flexible first responder, but can only last for about an hour. Batteries too are excellent first responders, but on their own are (and will be for several years) too expensive to provide energy for many hours. Concentrated solar thermal can respond promptly and run for several hours to overnight, provided its thermal storage has been charged up on a sunny day. Off-river pumped hydro (ORPH) with small upper dams can respond quickly and run for several hours to a day or so. OCGTs and diesels are slower responders, but can operate for up to several days before fuel costs become limiting. ORPH could replace OCGTs and diesels entirely if environmentally sound dam sites with medium storage capacity were found and became part of the mix. In Rank 3, when demand is lower than supply, the outputs of wind and solar PV can be reduced rapidly to restore balance. In other words, wind and PV are ‘dispatchable downwards’. Also, if the need for future temporary supply (e.g. from a spike in demand) can be predicted while wind and solar farms are operating, their outputs can be reduced shortly before the expected spike and then increased rapidly for a brief period during the spike, to help buy time for other dispatchable responders to come on-line. Hourly computer simulation modelling of Australia’s large-scale electricity system with 100% renewable energy, by at least five different research groups, shows that the NEM reliability criterion can be satisfied even though the majority of electricity generation comes from variable renewable sources, namely wind and solar PV. Furthermore, reliability can be achieved without any baseload thermal power stations and without large hydro. However, some dispatchable renewable energy power stations from Rank 2 are needed. 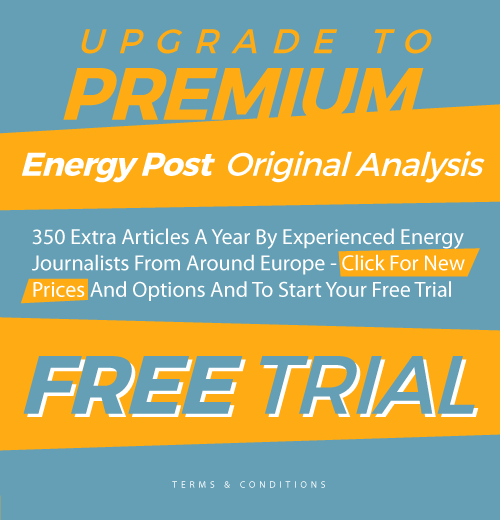 (In this article, demand response and batteries are included in the category ‘dispatchable renewable energy power station’). To what extent can coal and other baseload power stations be considered dispatchable? They are inflexible in operation and often intermittent during heat-waves when electricity demand for air conditioning is high. Old coal-fired generating units fail or ‘trip’ quite frequently– also here. On the positive side, once they are operating at the required level, they can often continue for months without interruption. However, this advantage over the faster and more flexible dispatchable technologies would be rarely used, because demand spikes can be as short as a few minutes and rarely exceed a few hours, while low-generation periods from geographically dispersed wind and solar farms rarely exceed several days. The gaps of durations ranging from several minutes to several days can be covered by a mix of dispatchable renewables, as outlined above. This justifies the classification of baseload power stations as Rank 4 in this analysis. To insure against rare events with long duration (weeks), a baseload station could possibly be kept in cold reserve. A few additional transmission lines to link widely dispersed wind and solar farms would also increase generation reliability. In Australia, some states and territories are in the lead, with policies comprising renewable electricity targets backed up by reverse auctions, power purchase agreements and contracts-for-difference. Set renewable electricity targets of at least 60% of total electricity generation by 2030 and 100% by 2040. Allocate additional funds of $4 billion over 4 years to ARENA for a specific tranche of grants for dispatchable renewables, including storage. Allocate additional funds of $2 billion over 4 years to CEFC for a specific tranche of loans for dispatchable renewables, including storage. Abolish the Australian Energy Market Commission (AEMC), transfer its rule-making responsibilities to the Australian Energy Market Operator (AEMO) and ensure that 5-minute settlement commences on 1 July 2019. Mark Diesendorf is Education Program Leader (part-time) at the Cooperative Research Centre for Low Carbon Living and Honorary Associate Professor, Environmental Humanities Group, School of Humanities & Languages at University of New South Wales. This article was first published on the excellent Australian website Reneweconomy.com and is republished here with permission from the author and publisher. I’m as strongly in favor of phasing out coal as anybody. However, I’m also strongly in favor of formulating energy policy — or any policy, for that matter — on the basis of facts as best we know them. I don’t subscribe to “the ends justify the means”, and I consider it supremely reprehensible to misrepresent facts or to deliberately confuse issues with bogus arguments on the grounds that the public isn’t capable of understanding / appreciating the real facts. Things should be done for the right reasons. The right reasons for phasing out coal are simple enough: CO2 emissions and the strong need to curtail them; other air pollution associated to some degree with even the most modern and costly coal-fired power plants; and environmental destruction from coal mining operations. Those are, in my opinion, entirely sufficient reasons to phase out coal. We don’t need to distort the technical facts in an effort to be more convincing. I don’t want to come down too hard on this article. The “facts” presented here are partially valid, not egregiously distorted. I’ve certainly seen worse. However, they’re not the best depiction of reality one could hope for. It’s true that an isolated coal-fired plant can take a full day — or sometimes even more — to go from full shutdown to full power output. However that’s not the way plants are typically operated. It’s normal for one large coal-fired power plant to have multiple turbines and generators. Individual turbines have a very limited throttling range for most efficient operation. But in a plant with other turbines already in operation, an idle turbine can be brought up reasonably quickly. 45 minutes to an hour is typical, even for older plants. And Germany has built “flexible” coal-fired plants specifically designed for backing wind and solar resources. They have a decent throttling range — perhaps +5 to -20% of nameplate? — without significant loss of efficiency, and output can be stepped over a much wider range by bringing individual turbines on or off line. The time period for bringing a turbine online, IIRC, is somewhere around 15 minutes. In a power grid, it’s system response that matters. If a “slow” dispatchable resource can be ramped up or down in less than an hour, it doesn’t take an unreasonably large battery bank paralleled with it to deliver an arbitrarily fast system response. Not mentioned in the article is another important mechanism for system responsiveness. That’s dispatchable loads. A dispatchable load is effectively a negative power generator that can be operated under control of the grid operator’s SCADA system. It can be turned up when surplus power is available, and turned down to make power available for other loads. That’s what the charging side of a battery bank actually is. But there are other good candidates. Mostly large scale pumping operations: pumping water to the upper reservoir of a pumped hydro system; pumping seawater into a high pressure store for a reverse osmosis desalination plant; pumping heat to or from the thermal store of a district heating or cooling system. Pumps and electric motors have low capital costs relative to their power consumption, so there’s no significant economic penalty in operating them from “as available” power. Ironically, the same energy storage and load control mechanisms that make intermittent wind and solar resources more feasible for our power needs serve equally to make baseload and slow dispatch resources more responsive. Thanks to Roger Arnold, for the additional detail about ‘flexible’ coal-fired power stations with multiple turbines and generators in Germany etc. However, his intemperate accusations of misrepresenting facts are uncalled for. My reprinted article was written for an audience in Australia where it would be misleading to call existing coal stations ‘flexible’. Furthermore, Australia is unlikely to ever have a new ‘flexible’ coal station (or any new coal station). Nobody wants to invest in one on economic grounds, so a pro-coal, anti-renewables faction of the federal government is campaigning for a taxpayer-subsidised one, against majority public opinion. Since demand response can be up or down, ‘dispatchable loads’ are included in ‘demand response’ in my article.